If you are planning to sit for PMP certification exam or if you have a PMP certification already, you must be aware of what PDU is. Since you landed in this page, you should be looking for free PMP PDU resources. However, do you know that 80% of professionals who are related with PMP certification confuse what PDU is? Therefore, before we express about free PMP PDUs in this post, we will clarify a common misconception about PMP PDU. However, we strongly to read “What is PMP PDU?” heading as well. PMP is the abbreviation of Project Management Professional. PMP certification is awarded by PMI to the professionals who pass the PMP certification exam. There are certain PMP requirements that every PMP candidate must satisfy in order to be able to sit for PMP certification exam. 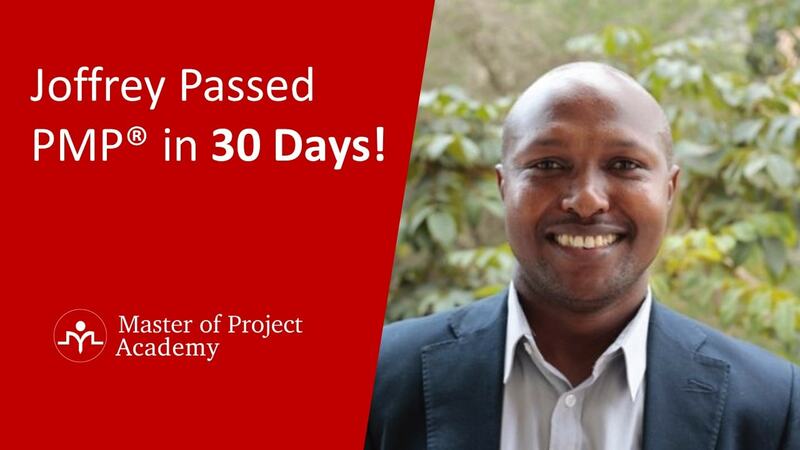 One of the PMP certification requirements is attending to a 35 contact hours project management education. You can satisfy this requirement by attending to a PMP training. However, many PMP aspirants confuse the contact hours with PDUs. That is why many PMP aspirants search for 35 PDU PMP training or Free PMP PDU training to satisfy project management education requirement of PMP certification. PDU is the abbreviation of professional development unit. PDU is a term related for PMP renewal. If you have a PMP certification already, you must earn 60 PMP PDUs in each three years after you got the PMP certification in order to retain your PMP certification. There are several ways of getting PMP PDU. You can attend in a training, webinar, online PDU course, conference, read a book or author a book etc. There are many other ways for earning PDUs for renewing PMP certification. In short, if you are preparing for PMP certification exam, PDU is not suitable for you. You must be looking for 35 contact hours PMP education to satisfy PMP requirements. Are you looking for free PMP PDU to earn and sit for PMP certification exam? We recommend you to read the section above. Because, you do not need PDUs. Instead, you need contact hours project management education to sit for PMP exam. In order to be able to sit for PMP exam, you must have attended a 35 contact hours project management education. Many PMP aspirants confuse “contact hours” with “PDU” and they search for free PMP PDUs to satisfy PMP education requirements. If you do not have a PMP certification yet and if you are planning to sit for PMP exam, you need to earn 35 contact hours. However, do not worry. We will help you to earn free contact hours to sit for PMP exam as well. Contact hours and PDU hours are different. PMI has clear guidelines of what they can accept as contact hours. Following screenshot has been taken from PMP handbook, which is the guide of PMI for PMP certification exam. 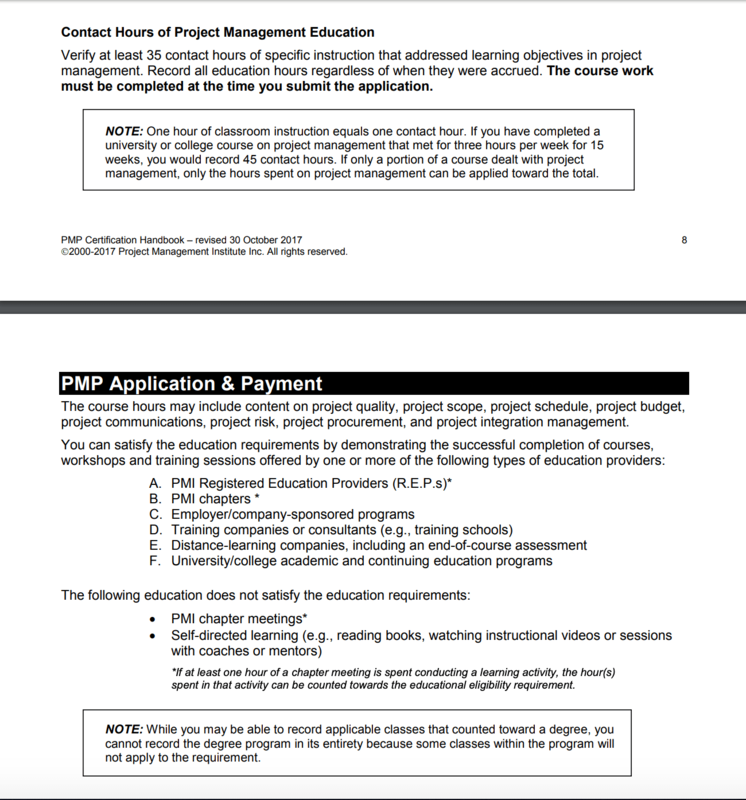 As you can see, PMI clearly states that they expect instructional hours in order to satisfy project management education. On the other hand, PMP PDU requirements for renewing PMP certification is different. 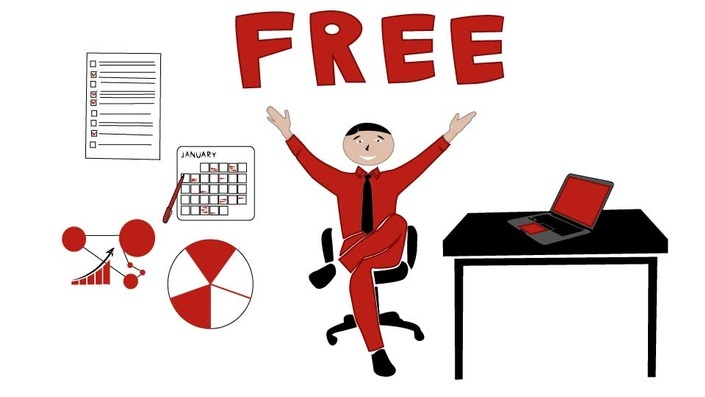 What Is The Difference of Free Contact Hours and Free PMP PDUs? For instance, if you are reading a PMP book, PMI does not accept it as source of 35 contact hours of project management education. However, if you have a PMP certification already and if you are trying to renew your certification, hours you spent when reading a project management book will count as free PMP PDU. 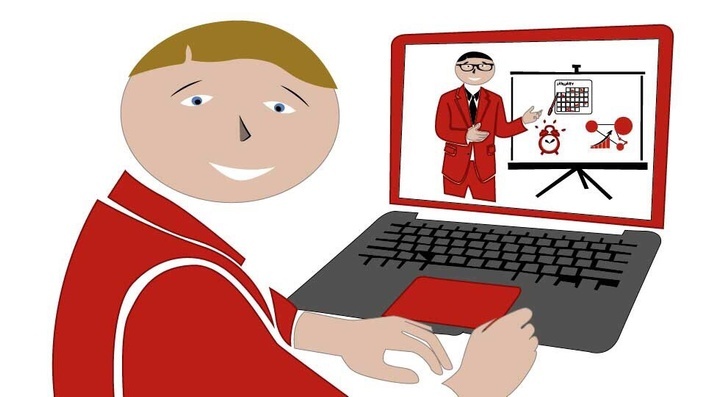 Contact hours must be instructional taught by a project management expert or trainer. However, you can earn PDUs by studying yourself. To be honest, it is tough to complete 35 contact hours project management education with free resources. Even if you complete it, I am not sure whether they will be comprehensive enough to make you PMP exam ready. However, you can try to search. We have a free PMP PDU and free contact hours resource as well. 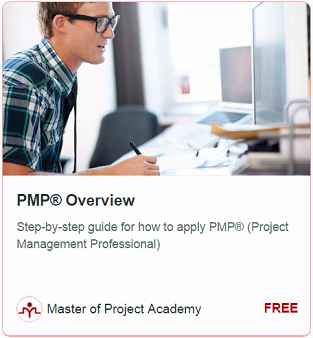 Enroll in our FREE PMP training and earn 0.5 contact hours for free. The free PMP training covers the steps of online PMP application in detail. Do you have PMP certification already? Are you looking for free PMP PDU resources to earn 60 PDUs? Then, you are at the right place. 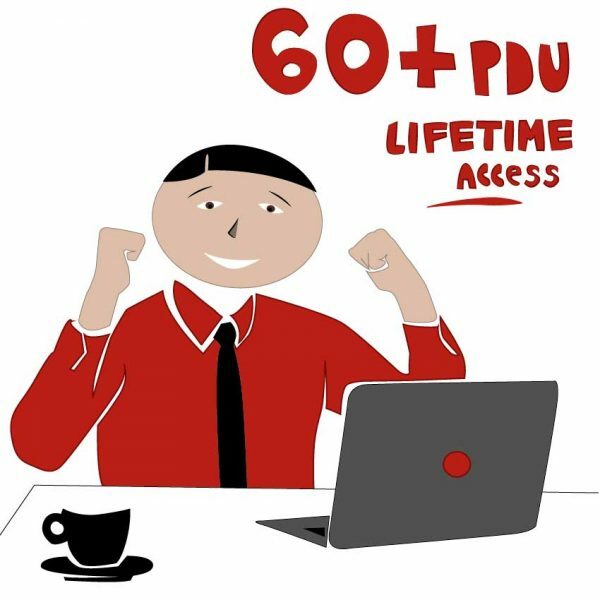 You must earn 60 PMP PDUs in each three years and there are certain conditions of these PDUs. You can read all details in our PMP PDU Requirements post. There are two main categories for earning Free PMP PDU. You must earn at least 35 PDUs from education category and there must be at least eight PDUs from each categories of PMI talent triangle which are technical, strategic and leadership. While there is a minimum 35 education PDU requirement of PMI, there is not a maximum limit. So, you can earn all of your 60 PDUs from education category. Only thing is, you must satisfy the minimum eight PDUs from each category of PMI talent triangle which are technical, strategic and leadership. You can earn four free PMP PDU from education category if you follow the directions in our PMP PDU podcast post. If you are a full-time working professional, it will not be easy to search for free PMP PDU resources and attend them. You will lose time, you have to attend them in-person and it is not easy. We recommend attending in an online PMP PDU course like our 60 PMP PDU Bundle. 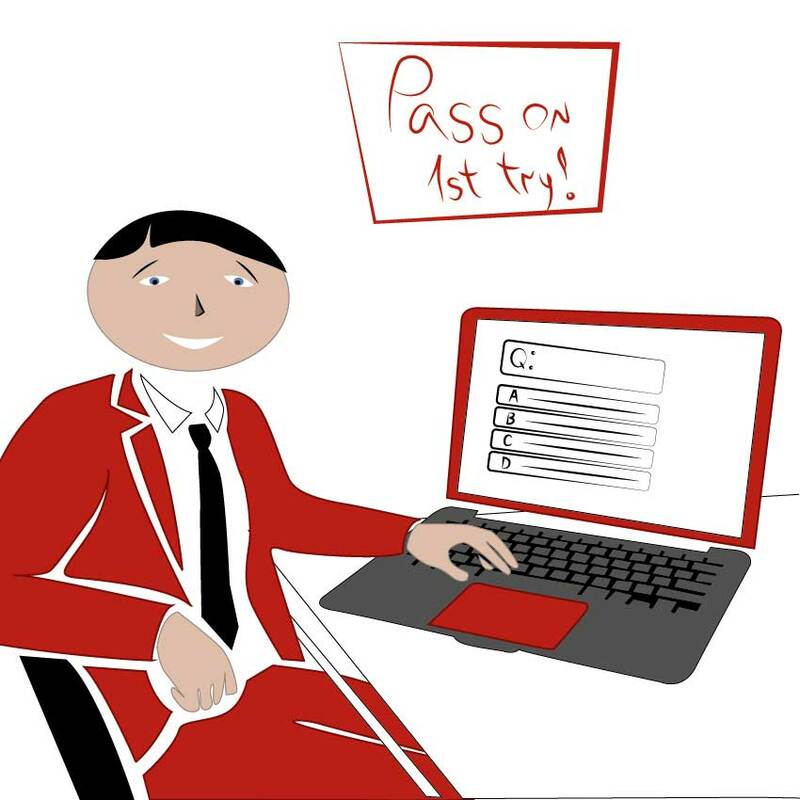 You can complete the PMP PDU courses on your own pace and in any place. How Can You Earn Free PMP PDUs from Giving Back Category? You can earn free PMP PDU from giving back category if you are an active performer of project management profession. For instance, if you are working as a project manager already or if your job is related to project management, you can submit up to eight free PMP PDUs from giving back category. Maximum number for free PMP PDUs you can submit from giving back category is 25 PDUs. While there is a maximum limit for “work as practitioner” category, there is not maximum limit for other categories of giving back category. However, in any case, you cannot exceed the 25 maximum PDU limit from giving back category. You can earn free PMP PDU by four alternative ways under giving back category. If you contribute to the project management world by writing an article, book, or creating a blog posts, you will earn free PMP PDUs as well. Because you enhance the project management knowledge, PMI recognizes it as source of PMP PDU. You can give a presentation in a PMI chapter, in a professional seminar or conference, or even you can give a presentation to your colleagues at your work about project management. These will help you to earn free PMP PDUs as well. If you share your project management knowledge and experience with others, sharing your knowledge will help you to earn free PDU. 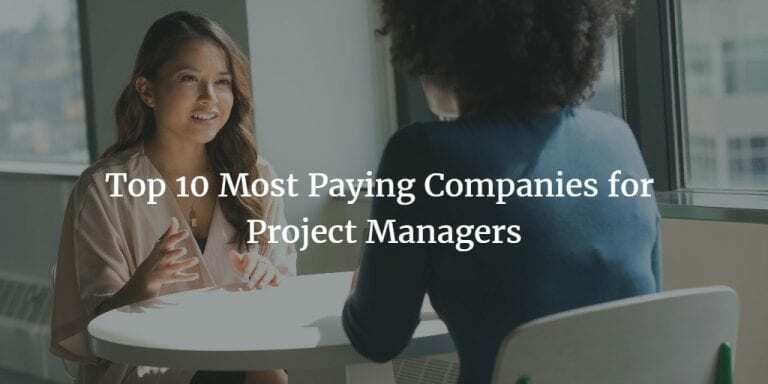 For instance, you can mentor junior project management professionals, you can teach your colleagues in your organization or you can act as a subject matter expert on a specific topic. These will count under the share knowledge category of giving back category. PMI has several volunteering activities. 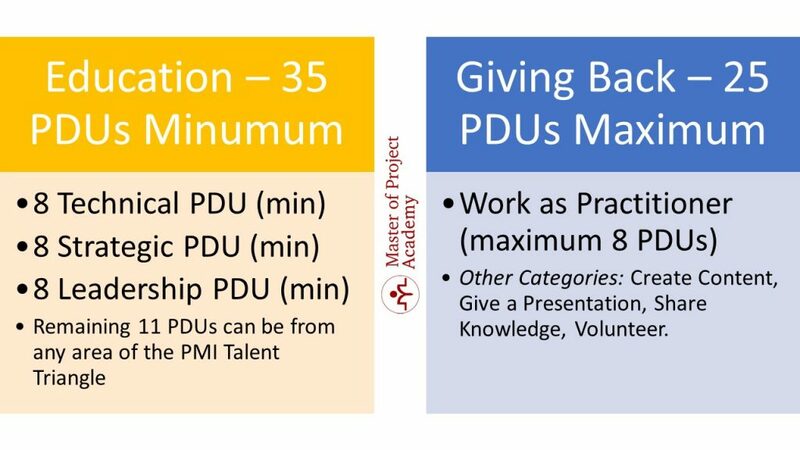 If you volunteer in these project management related chapters, activities etc., you will earn free PDUs since you will contribute for extending the project management knowledge. 2- Or, you already have a PMP certification and trying to earn free PDU to renew your PMP certification. For the first case, although you are searching for free PMP PDU, you actually need contact hours project management education. 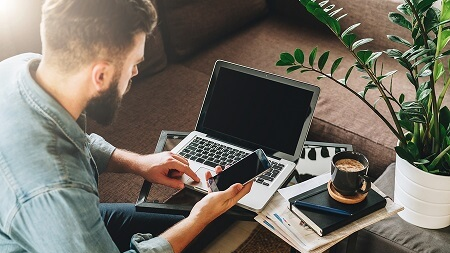 Because, PMP requirements state that you must have attended to 35 contact hours of project management education before you sit for the PMP exam. However, since this is a common misconception, even if you search for free PMP PDUs for project management education, you will find relevant resources. For the second case, PDU term is used appropriately and you are searching for free PMP PDU options to earn 60 PDUs and renew your PMP certification. There are mainly educational PDU options and giving back category options for this. You can earn all 60 PDUs you need to retain PMP certification from education category since it has not a maximum limit. You can look for giving back free PDU option as well and complete your CCR cycle. PMP PDU Classes – How Can You Earn 60 PMP PDU?